Let’s talk about my major girl crush first: Lydia! Honestly, I feel like she’s my sister from another mister who just happens to live across the pond. Lydia launched her fashion blog six years ago. From there, she started her YouTube channel and within two years, has amassed nearly half a million subscribers! Her Instagram is full of her outfits, events and adventures with brands and travel so if you’re all about fashion and globe trotting, I’d follow her for inspiration if I were you. To me, part of being a great leader (in whatever industry you’re in) is intentionally being approachable. After watching a few of Lydia’s videos, I found her to be very genuine, real and transparent. Aside from her clothing and handbag hauls and snippets of her outfits, she discusses about her experiences online bullying, challenges her followers to stand up to those who are doing the bullying, cosmetic work she’s had done, how she feels on her down days of blogging, etc. On her blog? Lydia talks about everything from how to stand out in the blogging world to how to not be a “basic blogger” (lol, loved that she used ‘basic blogger’) to her struggles (ie. at one point, falling out of love with blogging). As someone who has a life of time and financial freedom, one would think she’s unapproachable. However, to me, there’s just something about her where I feel like we could be best friends despite our financial statuses. Maybe it’s because she shows that she’s imperfect on her videos. She laughs at herself, talks to her cat, Lumi and shows her emotions. Fun fact: I met my friend, Mayling (heyyy girl!) through Lydia’s social media! Adam’s style is all about polish and precision. I mean, rightfully so, right? He’s been blogging for seven years. His amazing trip to Kenya where he woke up to giraffes outside his window really made me pay attention to his work that much closer. Great leaders can tell stories and paint a picture to make you want to be a part of the story. Adam is someone who knows how to style his looks, choose backdrops and pose in such a way that tells a story. Don’t believe me? Go look at each and every one of his photos. I can also tell that’s he all about genuineness. How do I know that? He’s liked several of my comments (if you know me, I don’t just leave emojis or “cool outfit!”) along with others who leave thoughtful comments. For someone who has two million followers, yeah, he pays attention to the details. Here’s his blog if you want to take a deeper dive into his world! Blogger of The VivaLxury, I’ve been following Annabelle for years. Her style ranges from comfy to dressy and I love how she wears the clothes, not the other way around. I mean, that silver trench coat looks amazing on her. Real leaders challenge you to look at something with a different perspective. The old me would take one look at that trench on a hanger and think, “Um, what is this? !” Since following her, Annabelle definitely makes me think twice about pieces I would probably not consider styling on my own. On another note, I don’t mind when bloggers are paid to partner with a brand as long as they do it tastefully. Annabelle’s partnership with Express? I dig that because she just has a knack for taking an affordable look and making it look expensive. Case in point with this outfit with clothes from Target. Styling clothes from Target to look expensive is a challenge in itself and she made me look at affordable clothing with a different perspective. Let me give you the bad news first, ladies. Ali is Lydia’s fiancé. As you’re sulking, let’s talk about his style and standard for his blog and videos to ease the pain a bit. First of all, let me disclose that I’m a new follower to Ali. I’ve yet to watch a video of his, but from the snippets I’ve seen, I’m sure I’ll be watching “The Ali & Lydia Show” all the time. I mean, it wouldn’t be hard to watch a television show starring a guy who can give James Bond a run for his money, ha! Great leaders set high standards and goals for themselves. What I’ve noticed is that Ali’s standard for his content is extremely high. His photos on Instagram and his blog are high quality and his content? For a guy, instead of a few sentences, he puts some thought into his posts. I love how independent he and Lydia are as individuals yet at the same time, he supports Lydia and what she does. Nothing more attractive about a man than someone who has his head on straight and just works hard on his own passions! You know what else? There’s nothing more inspiring than a power couple doing business on their own and together! Ahhh, Marianna of Life With Me is hands down my favorite beauty blogger. She not only gives great tutorials, but she has an eye for fashion as well. I love how genuine and grateful she is too. She’s not one of those bloggers who just opens their gifts from brands with music in the background and says nothing (I find it SO awkward when bloggers do this). She does a legit unboxing video, showing what she received, talks about the brand and how thankful she is for receiving her gifts. Leaders are constantly showing their appreciation and gratitude. Marianna shows that is grateful to her followers through action. How do I know? She responds back and answers what brands she’s wearing/using, likes your photos, does giveaways and just recently? She put up a Starbucks giftcard code on her Insta-stories for a few of her followers to grab some coffee. How’s that for standing out in the social media world?! Marianna is so sweet and her heart for others is what I love about her! She also just finished taking a class at Harvard Business School. As a fan of personal growth and development, I love that she reads and studies outside of blogging to learn more and get better at what she does! Who are your favorite bloggers and YouTubers? I’d love to follow some great influencers you love to follow! 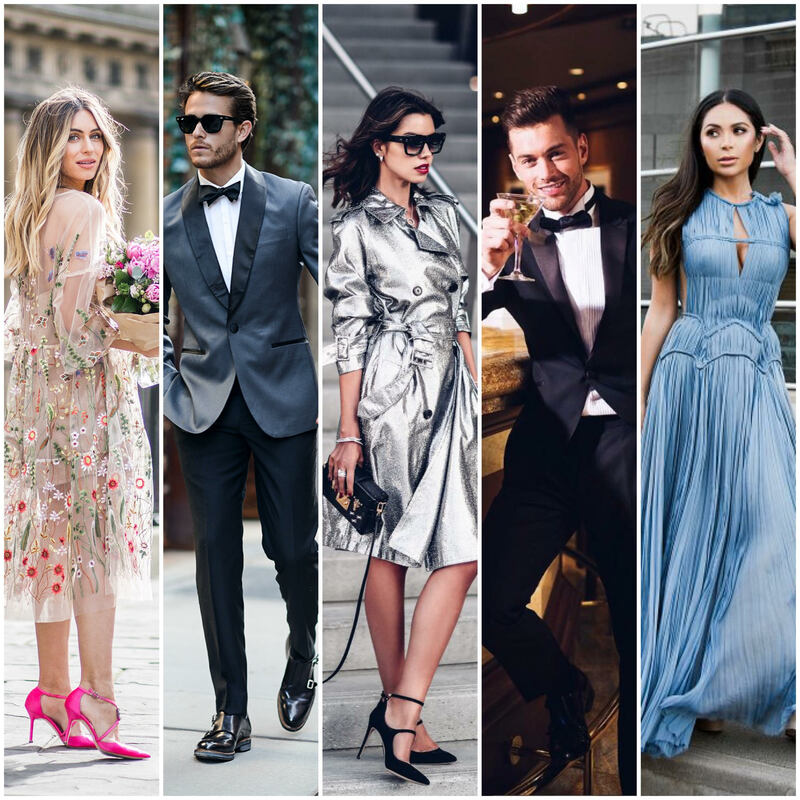 Images via 1 The VivaLuxury | 2 Lydia Elise Millen | 3 Adam Gallagher | 4 Marianna Hewitt | 5 Ali Gordon Please note that while I know there are many great bloggers out there, I’m highlighting more of the high-end side of fashion and beauty bloggers. 2 Replies to "My Favorite Bloggers"
LOVE my fashion, lifestyle, interior design and beauty bloggers! Though I must say the only one on here I have heard of is Marianna Hewitt! She is just so REAL, hilarious, addicted to skin care like me and posts the best stuff! I also like Rach Parcell, Southern Curls & Pearls is so cute, Lauren Simpson (I’m a fitness junkie) and Home Bunch! Plus a ton of interior design blogs as I’m an Interior Designer afterall! Glad to have found your blog! Now it’s time for me to go buy everything on your Valentine’s Day list! ? Well, I hope you get addicted to my favorite bloggers, Natasha! Yes, I like Rach and LOVE Caitlin of SCP! I’ve got to check out Lauryn, Lauren and Home Bunch! Oh, you’re an interior designer?! I wanted to be one when I was in high school, then I realized math was involved and my dreams were dashed, haha!